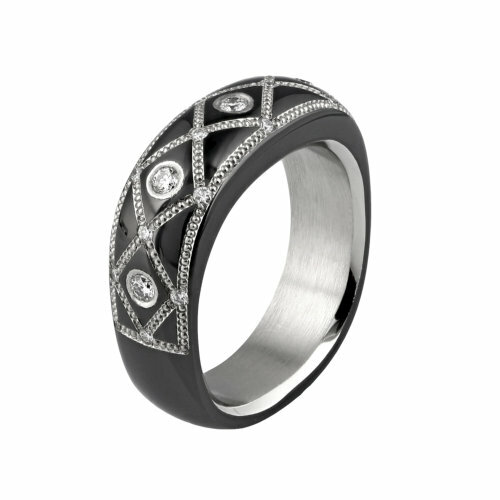 Classic black and white in this Knightsteel Diamond ring with Pure Platinum shaped inlay. Pure Platinum shaped inlay accents the five .05 ct. and sixteen .01 ct. Diamonds. .31 ct. total weight in these DEF color, Internally Flawless to VVS clarity Ideal cut Diamonds.